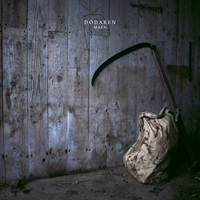 Truly Nordic, the debut album “Maen“ from Gothenburg based DÖDAREN, inspires with a cascade of riffs and melancholic melodies. Reminding you of the most classic 60’s and 70’s hard rock acts, Maen goes further offering a fresh breeze, never loosing touch with the significance of modern Swedish energy. Most of the songs run well beyond typical radio-length and take you on a journey in harmonics, on a spinning progression and finally punch you in the face with pure rock fury. With Swedish lyrics on top, the four members of DÖDAREN take a step in a new direction, paving the way for many new acts of original hard rock music to come. The debut album from DÖDAREN is available through Transubstans Records on the 5th of December 2012.